Ichiro Suzuki is one of baseball's biggest international stars. 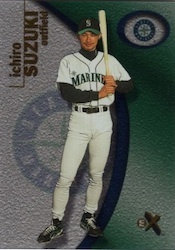 After a successful start to his career in Japan, he was an instant sensation the moment he joined the Seattle Mariners in 2001. 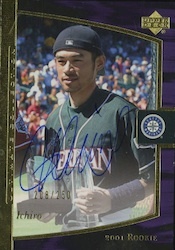 Ichiro rookie cards skyrocketed immediately, pushing huge demand for 2001 MLB sets. However, there are also quite a few notable Japanese releases that pre-date his MLB cards. 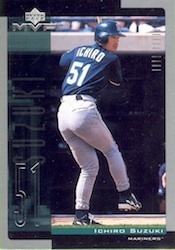 Still, his Mariners rookie cards generally see the most attention, and are among his most popular cards. In addition, although he has been a fixture of the game for many years, Ichiro autographs are still relatively limited and very pricey. With more than 4,000 career hits between Japan and the majors, the Hall of Fame seems all but certain. Ichiro has almost 50 true rookie cards across all budgets. His top cards also happen to be his only autographed rookies. 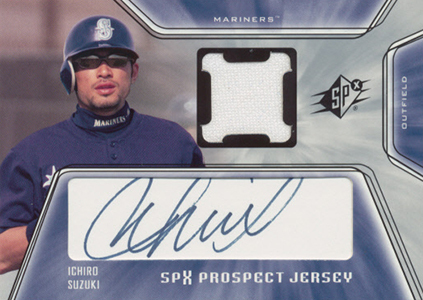 The 2001 SPx Ichiro Suzuki rookie is arguably the top option for collectors and it is definitely the most recognizable Ichiro rookie card. The card may not have a serial number but it does feature a nice trapped signature and simple jersey patch. 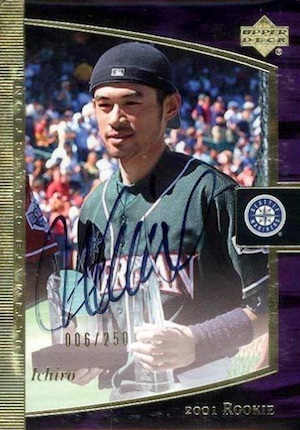 The 2001 Ultimate Collection card for Ichiro isn't as plentiful as the SPx card, but it has some great features, including an on-card autograph and print run of just 250 copies. ICHIRO 2003 Ultimate Collection Ultimate Signature AUTOGRAPH AUTO 199 RARE!! ICHIRO SUZUKI RC 2001 Upper Deck #271 - Strong BGS9 w 3 x 9.5's - UNDERGRADED! ICHIRO SUZUKI RC 2001 Upper Deck MVP Super Tools ST6 - BGS 8.5 - RARE! (25) 2001 Upper Deck #SE2 Ichiro Suzuki ROOKIE MINT !! 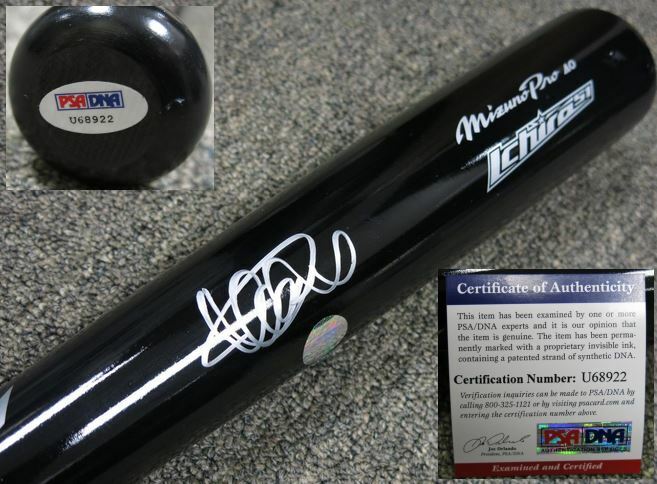 Below you will find an example of what Ichiro's authentic signature looks like. 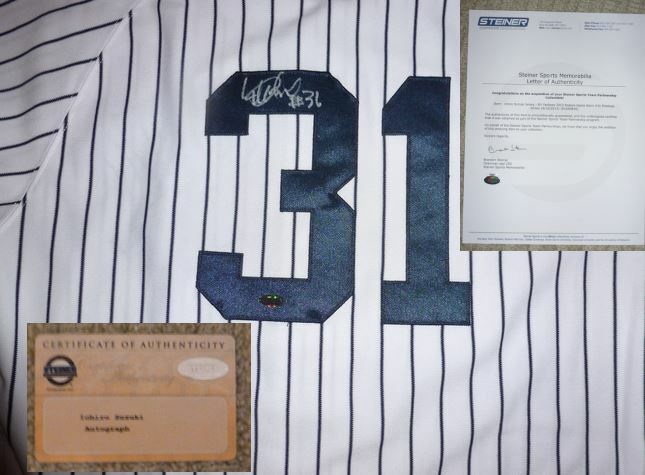 This can be used as a first point of reference for determining the legitimacy of autograph memorabilia, but is not substitute for having your items authenticated by a well-respected professional autograph authentication company. 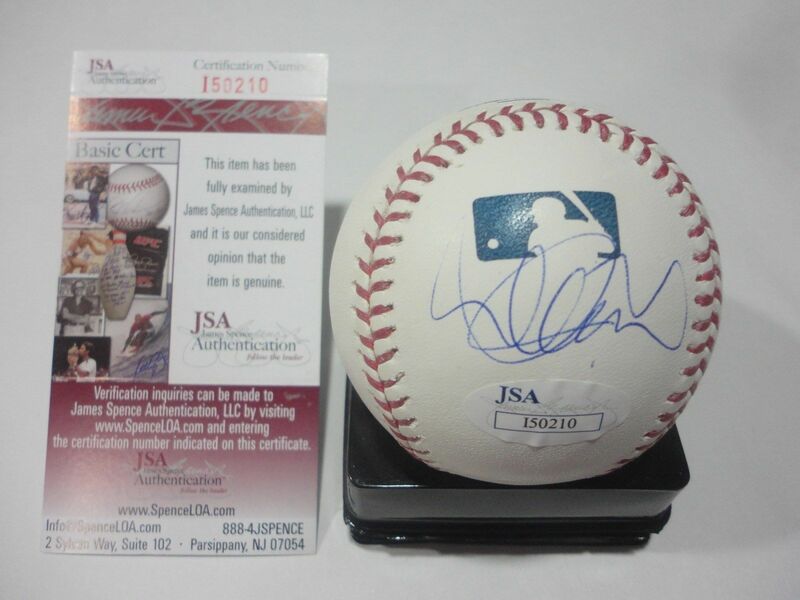 Some of the trusted sources within the sports memorabilia market include the following companies: PSA, JSA, Steiner, Tristar and Leaf Authentics. Click on any of the images below to view full-size photos. The letters of the signature are in no way discernible but the characters used are relatively consistent, but can vary as seen above. Look for a series of tall loops that appear to then be connected by a line across all of them. 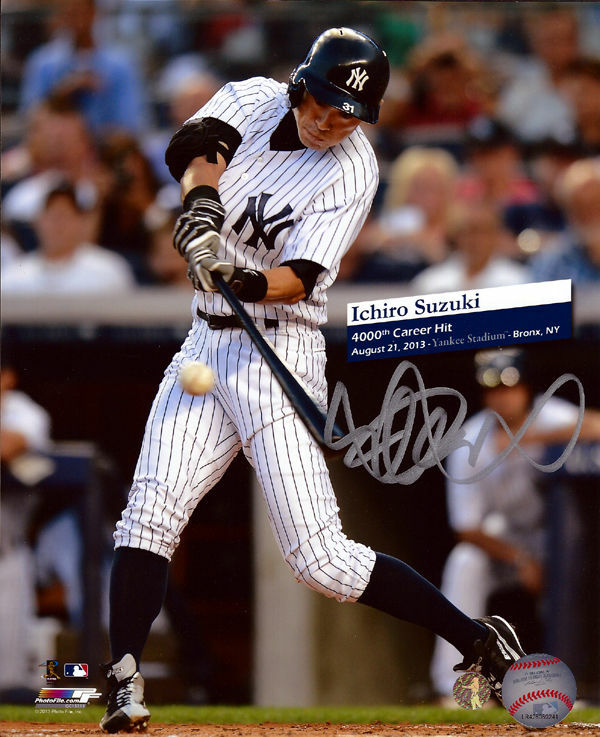 Compare any Ichiro signature to one from a certified trading card from Upper Deck, Topps or Leaf before purchasing alleged memorabilia signed by Ichiro.